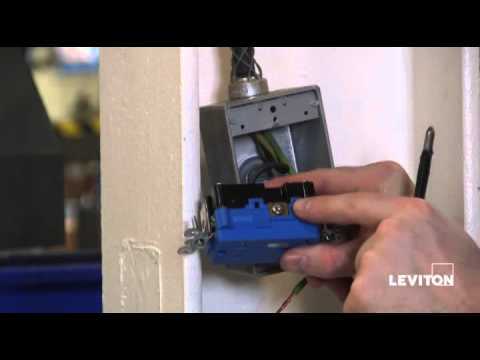 Leviton Decora Plus™ Heavy duty duplex receptacle outlet in white color, has nylon construction for added durability. It has a voltage rating of 125-Volts AC and current rating of 20-Amps. The 2-Pole, 3-Wire receptacle outlet with back and side wire connection, accommodates conductor of size 14-10-AWG. The brass triple-wipe contacts of this receptacle ensure optimal signal conductivity. 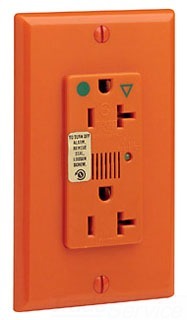 The box mount receptacle outlet measures 4.21-Inch x 1.77-Inch x 1.56-Inch. This hospital grade, self-grounding receptacle has a dielectric strength of 2000-Volts. Receptacle outlet meets UL 498, UL 1449 3rd edition and CSA C22.2 Type 3 Agency, C-73 ANSI, WD-6 NEMA, 057 NOM and File E13399 UL498HG standards.